We finish each year with our annual Awards Banquet. With so many members and so much achievement, we have chosen to not take time from each chapter meeting to recognize the milestones that members have reached throughout the year. The bulk of our recognition is done at the Awards Banquet as we honor hours milestones as well as certification awards. At the Summer Social, we also recognize the new class members and those getting their initial certification in July. At the Awards Banquet, there are also President’s awards which are given to recognize members who have quietly served the chapter in significant ways. Gary Barton was the State Representative for the past two years. He assumed a job that really didn’t have a clear purpose and developed the position into one that improved the communication between the chapter and the state office. Laura Kimberly, the New Class Director, managed not one but two new classes in 2018. Laura manages the New Class committee which provides an effective program in the classroom and in the field. Having a large committee makes a significant difference. Because we have so many committees of just one person that could use additional members to lighten the load, one of our objectives for the coming year is to get more members involved in committees, to assist the committee chairs and improve transition to new leadership. At the planning session in January, I was talking to a new board member while waiting in line for the sandwich that I ordered for lunch. We had covered a lot of ground in the discussions in the morning and the agenda was rather fluid – which is to say that we changed the program somewhat as we went along. She commented that I must not get much sleep as there are so many activities in the chapter that I must manage. I told her that I get plenty of sleep because the members and leadership are very committed to our mission and things get done. I am no longer surprised at all that we do and the level at which we do things. It was easy for me to commit to the State Office that the North Texas Master Naturalists would be ready to host the annual meeting in October 2019 in Rockwall, because I know how well our Chapter works to make large events like the Urban Wildlife Conference and Native Plants and Prairies Day successful. For the Texas Master Naturalist Annual Meeting, our Chapter will have three areas of responsibility. 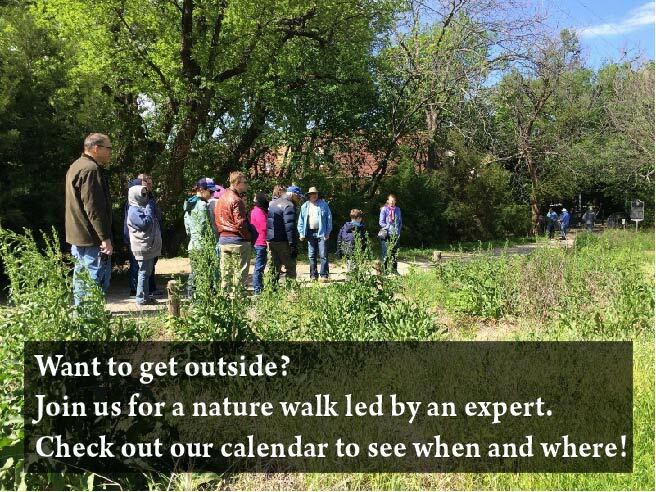 First, we will be working with the other Master Naturalist chapters in North Texas to provide field excursions to explore the natural areas of North Texas. We will also manage the silent auction to raise funds for the state program. Our third responsibility at the Annual Meeting will be to organize the Media, Art, and Photography competition. Connie Koval will chair a committee to make certain that the competition is fair and open to all members. We are also committed to producing an urban wildlife conference in August. Sam Kieschnick, our TP&W urban wildlife biologist, will plan a one-day program focusing on wildlife issues in North Texas and particularly the Dallas area. NTMN will be responsible for the logistics of the event: publicity, registration, certificates, lunch, and snacks. It will be an opportunity for a lot of volunteer hours for our chapter. We have reorganized what in the past we have called outreach. Ginger Greatens and Tabatha Knickerbocker will give details about these changes in articles in this issue of the Dragonflyer. We had considerable community interest in the guided walks and talks that we conducted last spring with local leaders on a wide variety of topics. Teresa Grafton is the Walk Coordinator and will coordinate the guided walks this year. Details for these will be found on the calendar on our website. We have had requests from community groups for us to give a speech on a single topic consistent with our mission. Henry Aschner has agreed to lead the Speaker’s Bureau as we begin to fulfill requests for content. You will be hearing from Henry as he begins to get this effort underway. The Summer Social will change the focus somewhat to be a Coming-out party for the Spring class. Details will be forthcoming in the next few months. 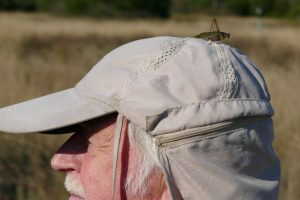 I hope all North Texas Master Naturalists are looking forward to a busy and challenging year.